The year of 2017 may not even be halfway done yet, but I think it's safe to say that this year has been the year of advocating for self-care. It seems that, as 2016 was a year of hardships and less than positive experiences for a lot of people, people decided to purposefully make 2017 a hell of a lot better, and for most, the first step in that direction was taking care and time for themselves. 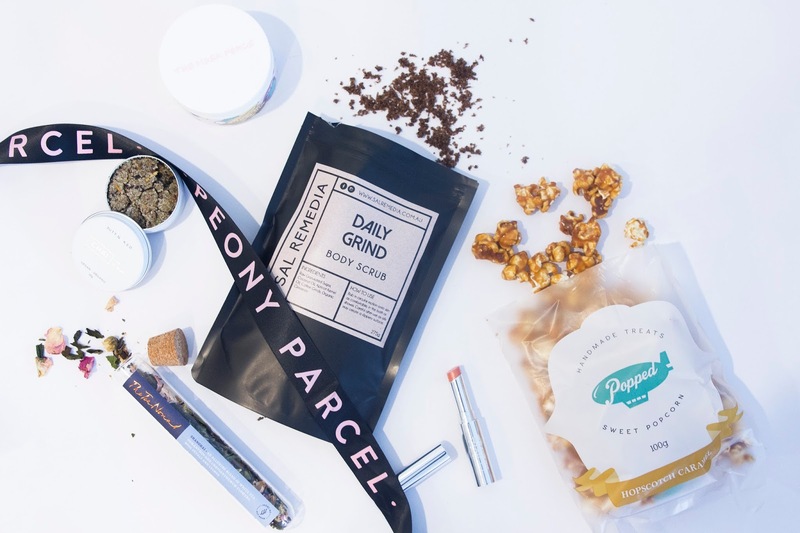 Peony Parcel is a subscription box that can help you with that. Every second month they send out a beautiful box of treats for the most important person in your life, you. 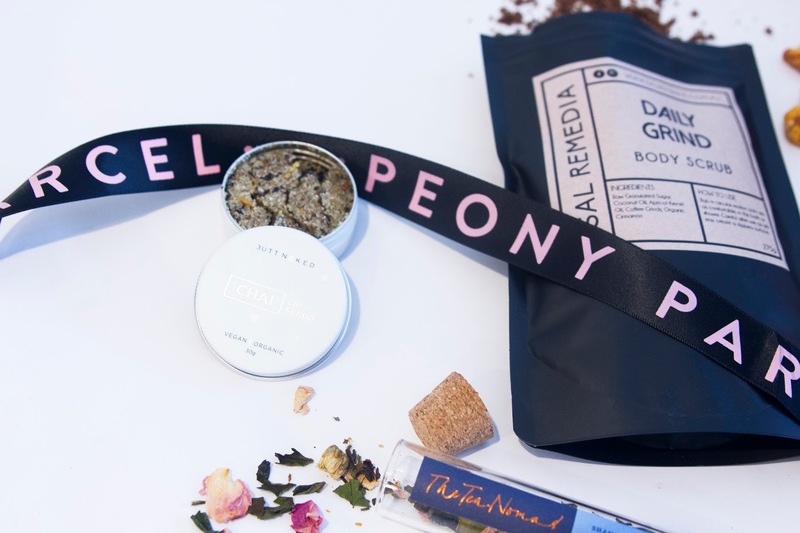 With everything from stationary, candles, treats and beauty and bath products, there will always be plenty of goodies that will make you want to catch some me-time, or pass on that feeling to someone special by gifting them a box. 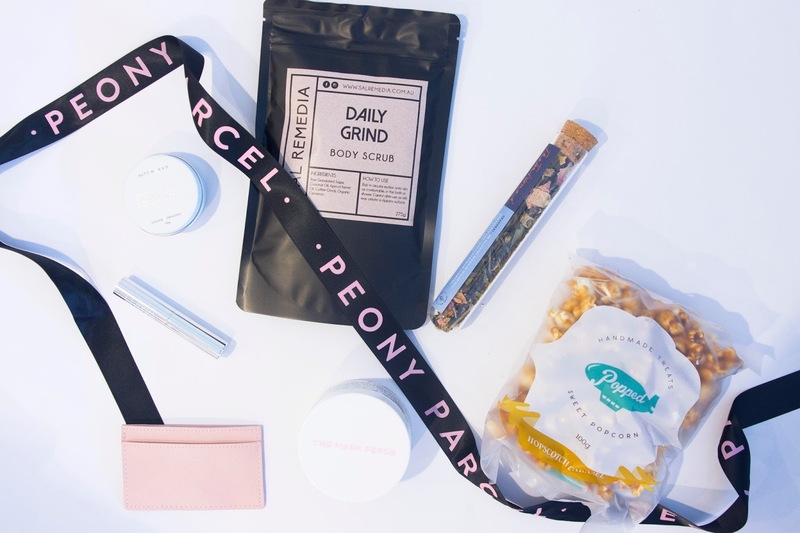 The lovely people from Peony Parcel sent me their latest March subscription box; the Revitalise Edition, and I'm here to give you a little sticky beak inside. 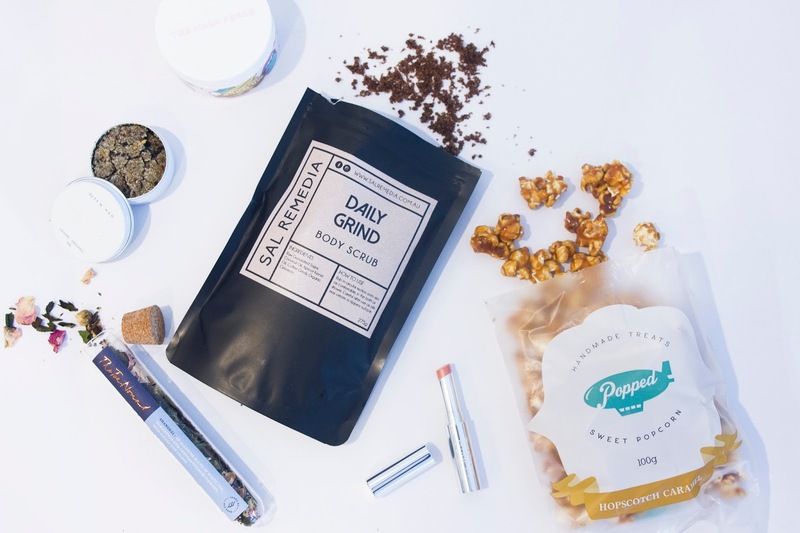 If you like to start your afternoon of pampering with either a nice, warm shower or a nice, hot bath, then Sal Remedia's Daily Grind Body Scrub might be the first thing from this box that catches your fancy. If you're a coffee-lover than you'll love this coffee scented scrub, and I mean it smells exactly like beautifully, roasting caffeine beans. Nothing is more relaxing and screams me-time more than a nice, hot cup of tea. 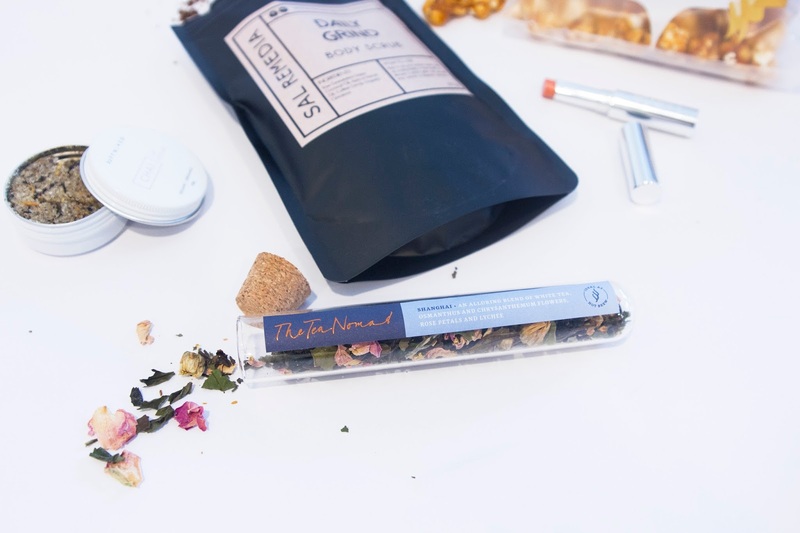 This month's Peony Parcel has that sorted with the inclusion of the Shanghai Tea Test Tube from The Team Nomad. A combination of white tea, osmanthus and chrysanthemum flowers, rose petal and lychee essence, just brew 1 - 2 teaspoons of this wonderful concoction and you'll be feeling more relaxed in no time. After you've had that cup of tea and have settled down on the couch to watch a movie on Netflix or catch up on your favourite guilty pleasure TV show, why not grab yourself some popcorn. 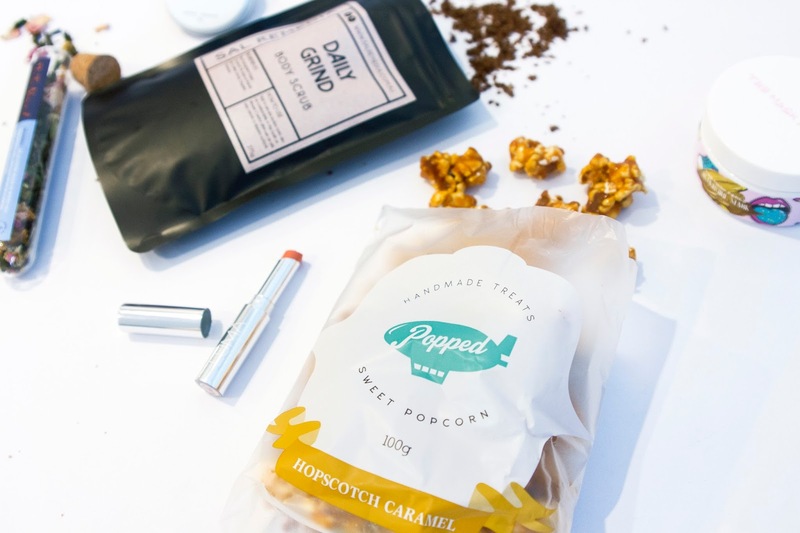 This Hopscotch Caramel flavoured popcorn from Popped will hit that sweet spot while filling that popcorn-shaped hole in your heart. This was the first thing I cracked open after delving into the box and I can tell you it's damn good stuff. Sometimes taking care of yourself means letting yourself get glammed up and feeling pretty. 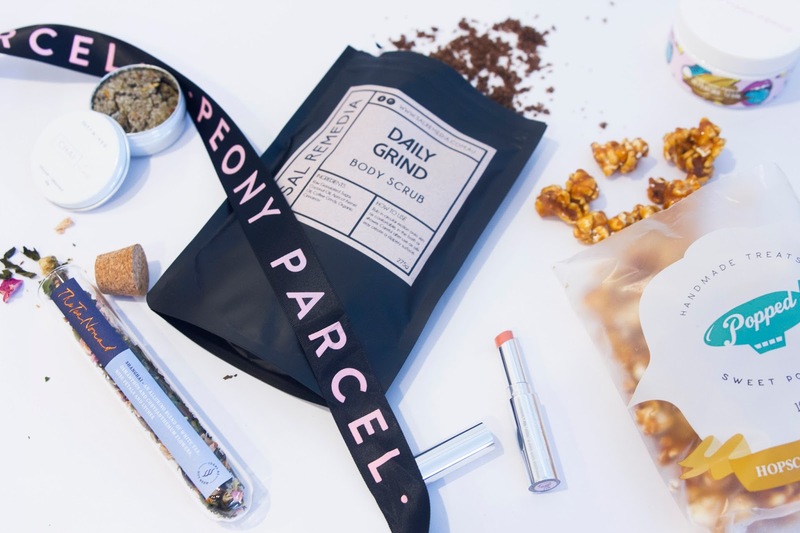 Peony Parcel even has something this month to help with that thanks to the Luma Cosmetics Sheer Lipstick. Not only will this give your lips a bit of a natural looking tint, all the lovely ingredients will leave them feeling smooth and hydrated without feeling sticky. Nothing screams winter more to me than Chai, and now not only can you drink the wonderful stuff, you can also give some to your lips while leaving them feeling silky smooth. Before you pop on that Luma Lipstick, give this a little go first so there's not dry skin for that lipstick to cling to and ruin your perfect look. Best of all this stuff is vegan and organic. 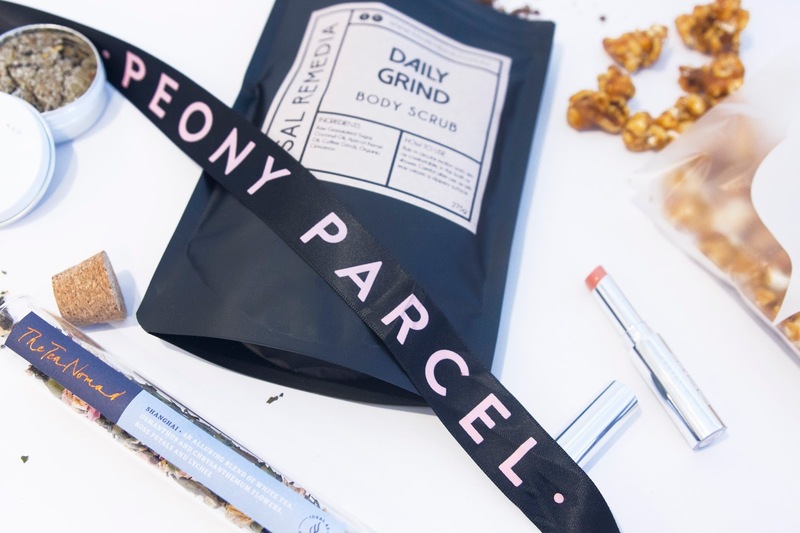 Last but not least, a pampering session wouldn't be complete without some kind of face mask, so of course Peony Parcel have thrown one of those in as well. This mask in particular from The Mask Force ,is full of vitamins, minerals and antioxidants to help give your complexion aradiantt glow.